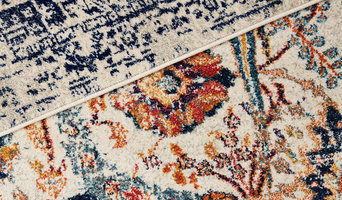 CatwalkRugs.com.au is today's leading online retailer of gorgeous designer rugs. Our dedicated buying team has carefully curated one of largest and finest collections from the best brands worldwide to give you unsurpassed choice in luxury floor rugs. Our story began in 1985, when Paul Sacco (Director) imported his first consignment of hand knotted rugs while travelling through Pakistan where he served as Physician for the Australian national under-19 cricket team. Since then, our parent company IMS Corp has direct imported over 500,000 unique and authentic pieces, directly from their countries of production including: Iran, Afghanistan, India & Pakistan. In 2006, Paul, with the help of his three sons; Alex, Chris & George, launched PersianRugs.com.au and a number of online distribution networks, pioneering the way handmade rugs are sold online in Australia. 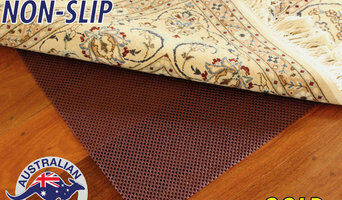 Today, PersianRugs.com.au is Australia’s largest online seller of hand knotted rugs with over 20,000 satisfied customers and more than 50,000 products sold Australia wide. Philosophy Headquartered in Sydney and serving the Australia community, IMS Corp is a family run and proudly Australian owned company since 1993. 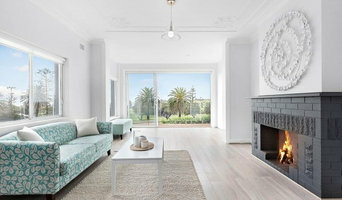 PersianRugs.com.au is founded under the principle of providing Australians with genuine handmade rugs imported directly from their source of production. Our scouts travel through Iran, Afghanistan, India and Pakistan to find the best handmade pieces; we don't stock machine-made copies – at PersianRugs.com.au your purchase carries real cultural value. At any one time we stock over 10,000 unique pieces in our Rozelle, Sydney warehouse outlet, providing the most complete collection in Australia. Our strong buying power guarantees the best possible prices. Our team has the soul focus of providing the best selection of genuine handmade rugs and kilims, hand picked to suit Australian tastes and conditions. Connect To learn more about PersianRugs.com.au and our collection of hand knotted rugs and hand woven kilims, please contact us on 02 9746 3600 or info@persianrugs.com.au. Rugs designers, we custom made patchworks rugs from classic to eclectic & are meticulously created using the best quality cowhide. Sydney Flooring is known by many in the timber flooring industry as leaders in quality, service and value. With over 50 years experience at the helm of the company you could safely call Bill Durkowyak the patriarch of Australia’s timber flooring industry. Sydney Flooring was started in 1959 by Bill & his father, working out of their Glenfield home in Western Sydney, becoming Sydney’s “premier timber flooring business”. “Timber flooring is a recognised sustainable product, it’s recyclable, carbon positive and renewable and when you consider that a well looked after timber floor will last over a 100 years. It makes it a very sustainable choice.” Said Bill. Boasting two award winning Sydney showrooms located at Chatswood and Chipping Norton, each showroom is staffed by people with extensive knowledge and expertise to advise customers on their individual requirements. The head office & warehouse are located at Chipping Norton. Established in 1952 by Jacques Cadry of Tehran upon his arrival into Sydney. Cadrys Classic, which today is led by his son Robert along with his sons, Ari and Jared Cadry have amassed Australia's largest collection of collectible and decorative Antique rugs from Persian, Anatolian, Caucasian and European origins along with the finest collection of rugs from the leading weaving houses of Iran, Afghanistan, Turkey, Morocco, India and Nepal. Cadrys Contemporary are the exclusive Australian representative impressive for the leading rug design brand Jan Kath and stock an impressive inventory of unique contemporary pieces from his collection. We are proud to offer a custom rugs service from our own exclusive in-house design library that has been curated of many years of experience to suit a wide range of applications and requirements. Our collections are handknotted by artisans with traditional time honoured techniques that utilise natural materials such as Handspun Tibetan Highland Wool, Natural Nettle and Various Silks. Leather masterpieces for ground cover. Creative patchwork rugs made of natural materials. Designs inspired from art, nature & contemporary trends.